Apple’s Smart Cover for iPad 2 is a good guess. But that’s not what we’re talking about here: we’re talking about the Smart Case for Samsung’s Galaxy Tab 10.1. And hey, no surprise here: Samsung’s officially certified the copycat Smart Cover to be used with their copycat iPad. The Smart Case is a blatant imitation of the Smart Cover in everything except the way it fixes to the Galaxy Tab: because the Tab 10.1 doesn’t have magnets to affix the case, the Smart Case instead affixes to the back of the Tab, which affords some additional protection from dings. We’d be tempted to leave it there. It’s a blatant rip-off, but the accessory world is filled with many such rip-offs, and Samsung can’t be faulted for this one. Or can they? First of all, Samsung has given an official endorsement to the Smart Case by way of certification. Second, it is a copycat Smart Cover for a copycat iPad affiliated with a company that is already well known for ripping off Apple. 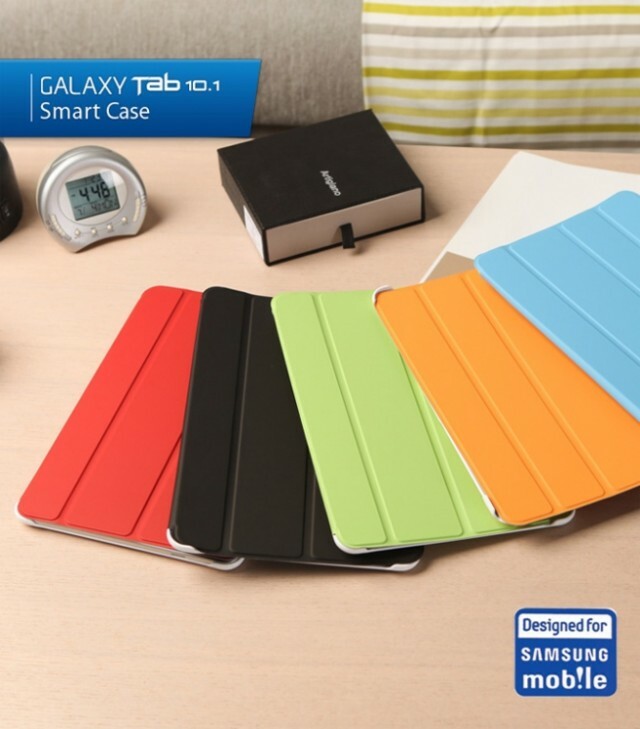 The Smart Case is designed exclusively for Samsung’s Galaxy Tab 10.1 – and not by a coincidence, warns our reader Jun. Apparently Sang-yong Kim, the Anymode CEO, was “born in Samsung family”. Jun tells us – and you’re free to take it at face value – that the Anymode CEO “is nephew of the Samsung’s chairman Kun-Hee Lee“, the claim we were unable to verify at the time of this writing. The 69-year old chairman of Samsung Electronics stepped down in April 2008 amid the Slush funds scandal, but returned at the group’s helm in March of last year. He is credited for improving the quality of Samsung’s design and products. Anymode is not even attempting to conceal the Samsung link. Jeez. Copying Apple’s mobile product designs is just endemic at Samsung, isn’t it? No wonder Cupetino had enough.